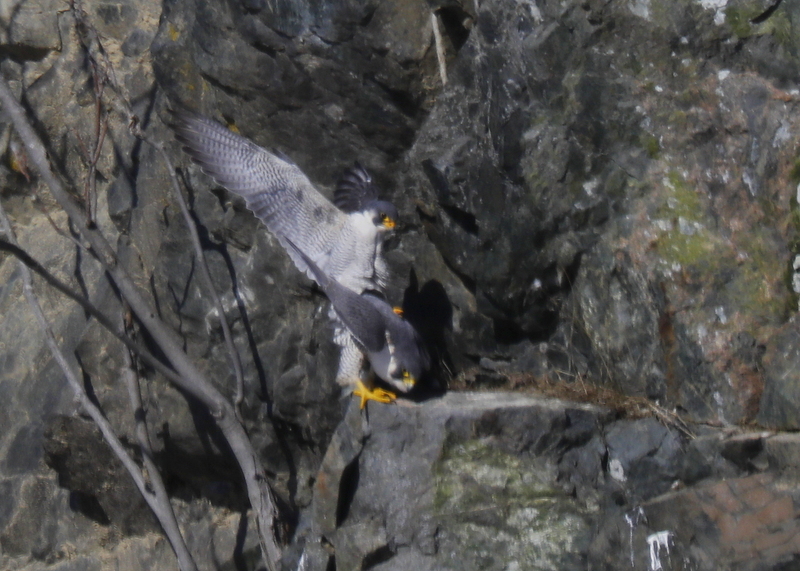 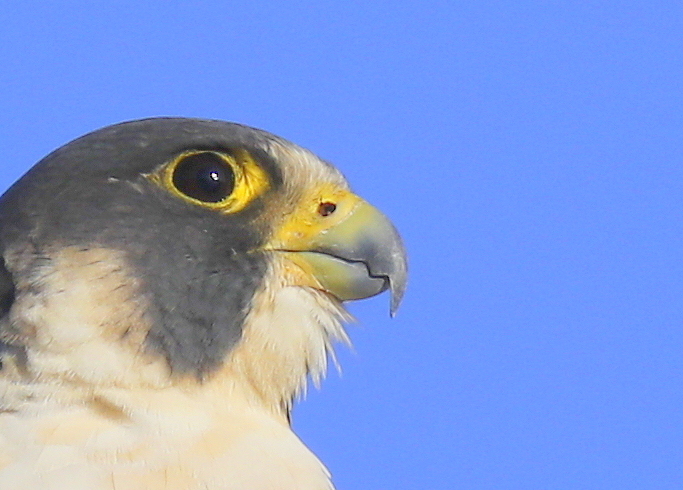 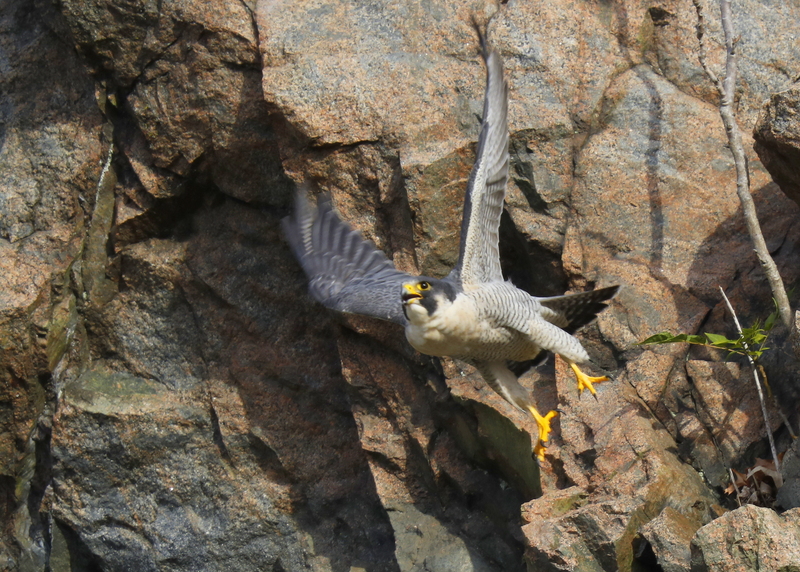 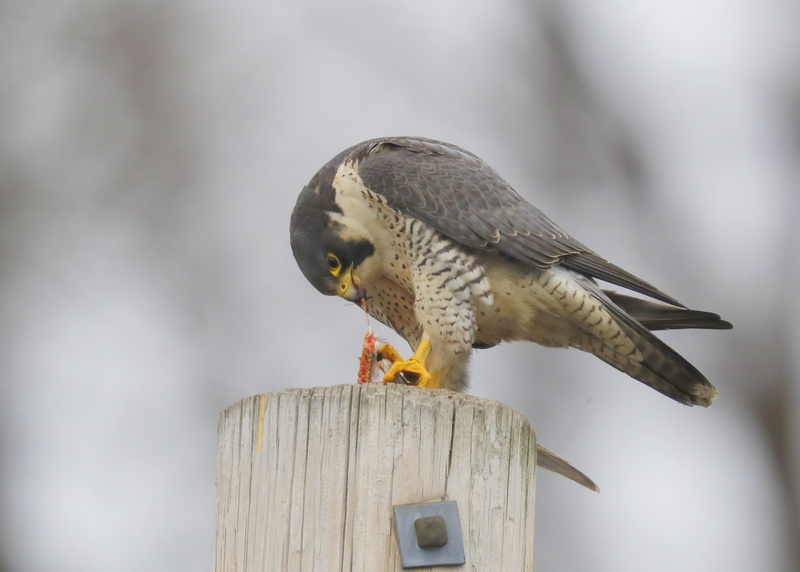 You are browsing the Blog for peregrines woburn pair. 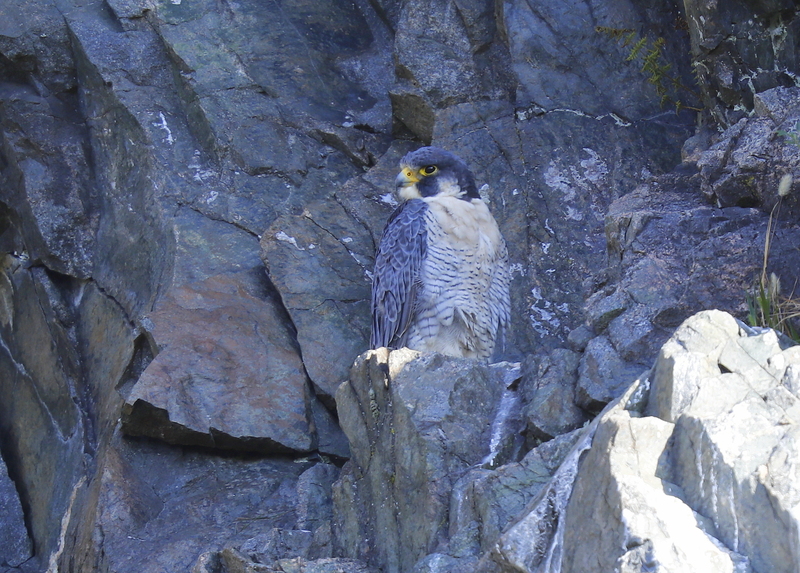 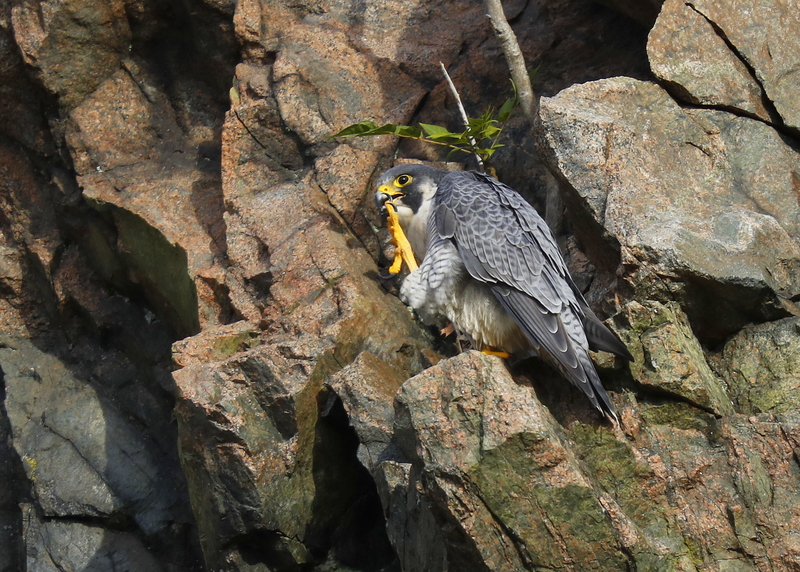 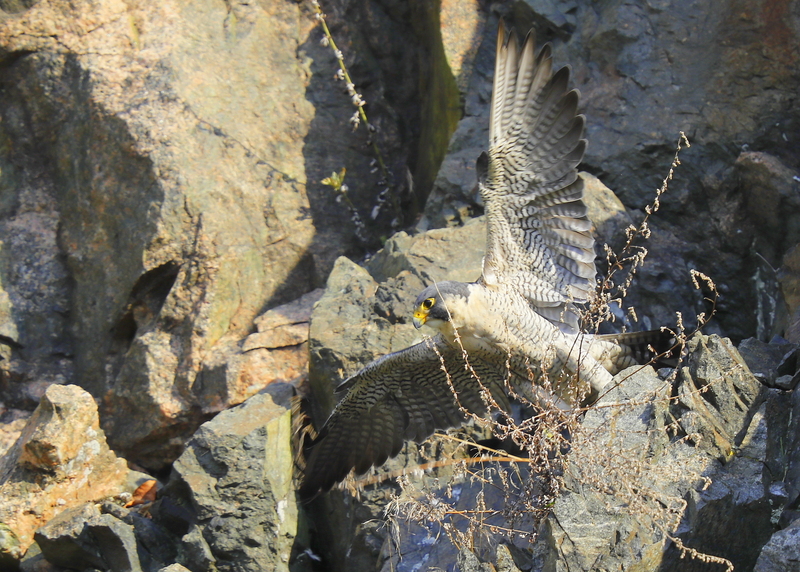 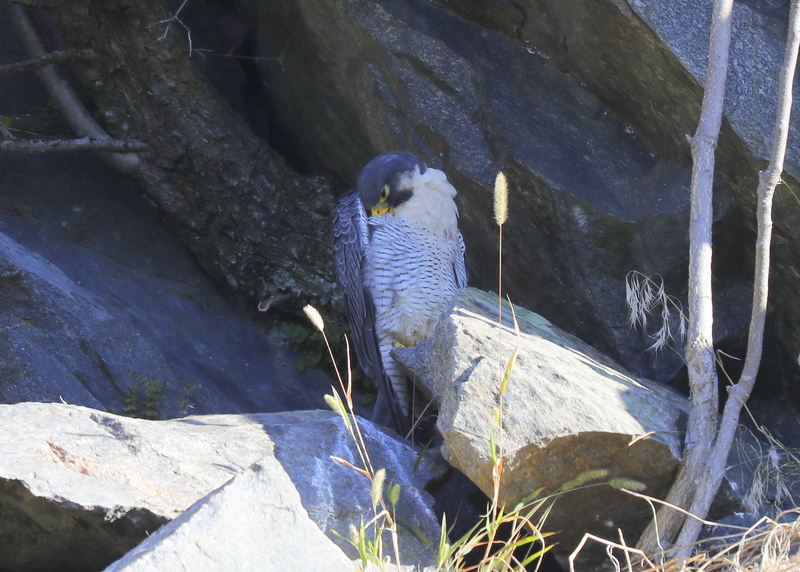 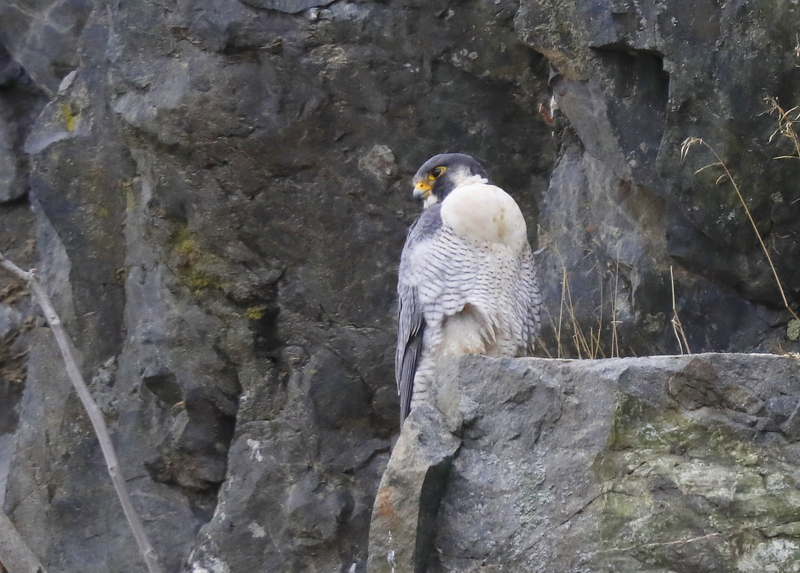 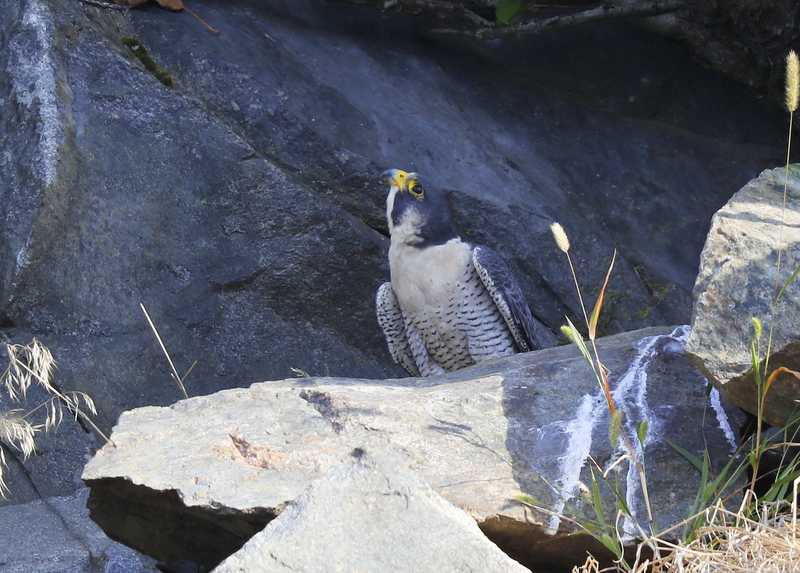 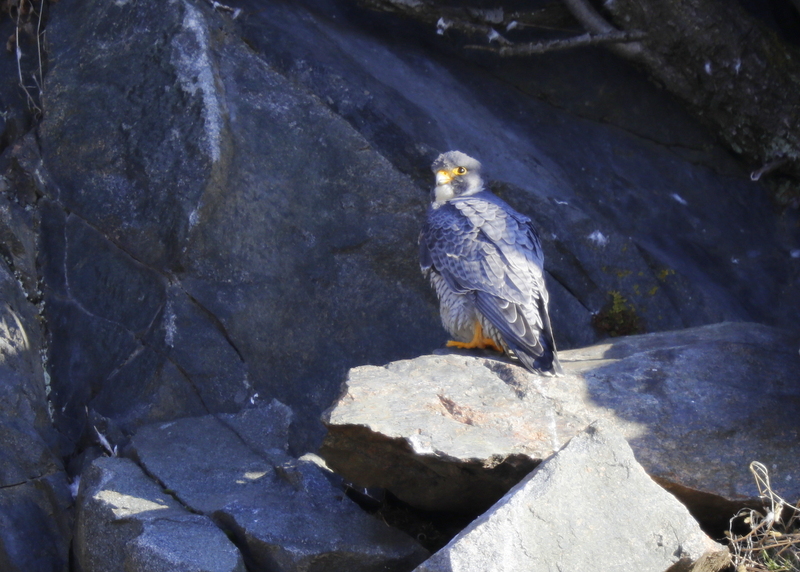 Monday morning visit to quarry with sighting of perched adult male nestled on a ledge, in the shade, with no activity. 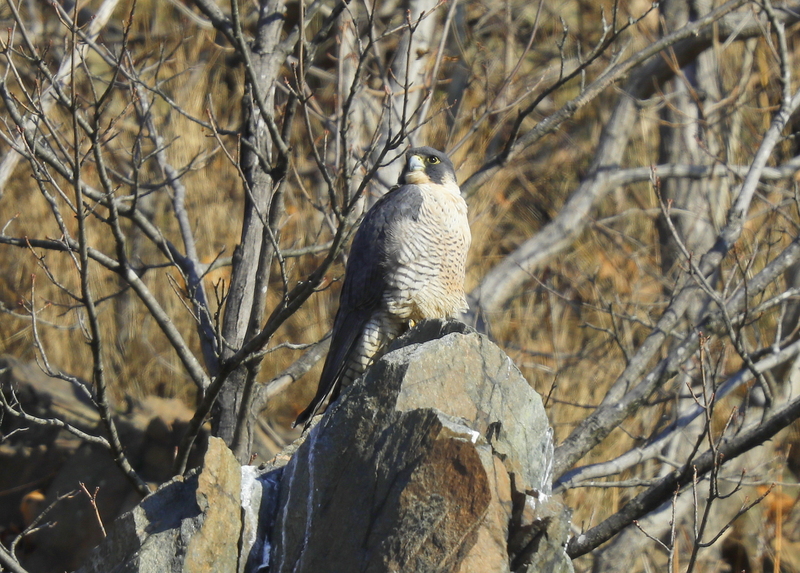 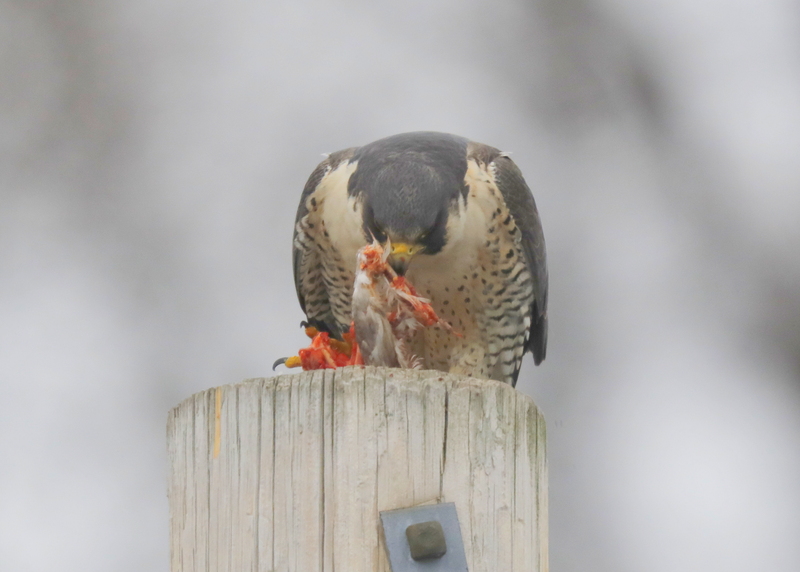 As always, many pigeons in flight nearby, but no other birds or hawks that might have prompted falcon into flight. 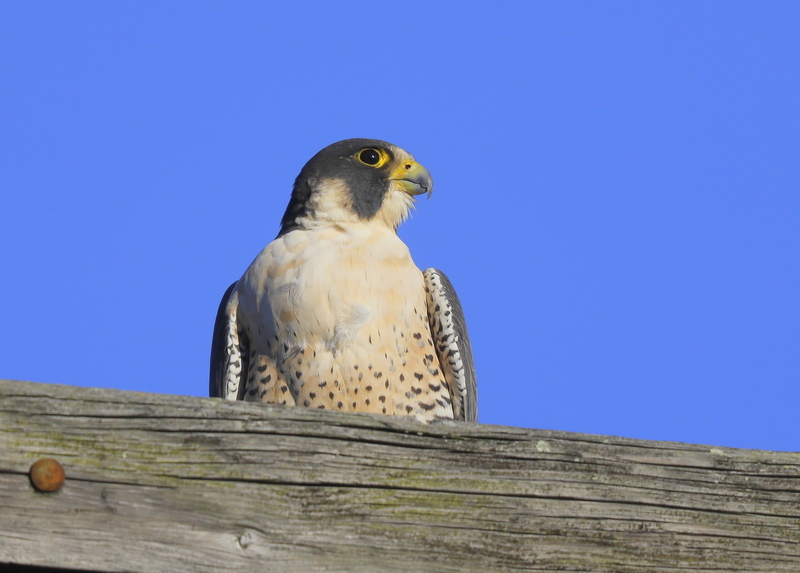 Mostly sunny conditions with little wind and temps in low 60’s.